Cast: Keith David (Portifoy Simms), Bryan Batt (John Lloyd), Kedrick Brown (Booze), Alicia Davis Johnson (PollyAnnas Hockenbull), Creighton Thomas (Cliff Bettis). Story: Keith David is Mr. Simms, who will present four horrific stories of lust, greed, pride and politics through tales of demonic dolls, possessed psychics, vengeful vixens and historical ghosts. Mr. Simms’s haunting stories will make you laugh… while you scream. 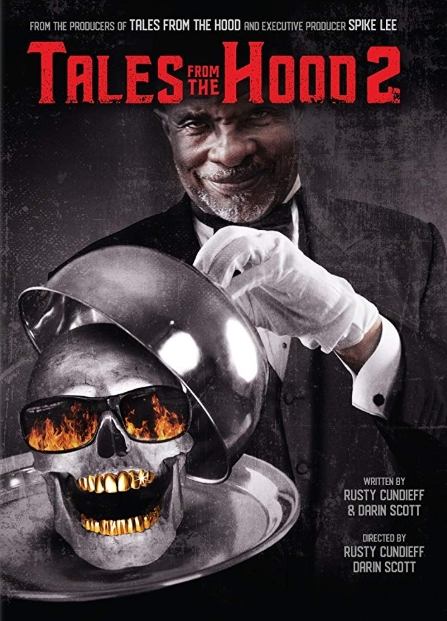 TALES FROM THE HOOD 2 is squarely in the tradition of outrageous, entertaining anthology horror, but it also addresses serious issues with a forceful point of view, just as folklore has done throughout history. Source: Dread Central. This entry was posted in Upcoming Films and tagged Horror, Keith David, Rusty Cundieff, Sequel by blackcinemaconnection. Bookmark the permalink.